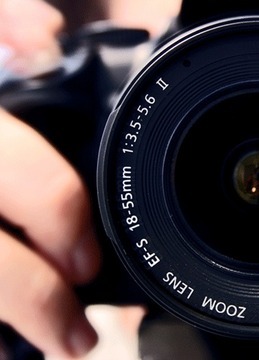 This course will cover two main topics: digital technology and how the modern camera works. Digital photography has language that for many is intimidating. We will cover RAW files, noise, pixels, DPI/PPI and many others and make them simple and easy to understand. We also will cover basic composition, exposure, color temperature, and lenses. From professional to basic cameras will work but to get the most out of the information, a camera with 'manual' mode will work best. Introduction to Digital Photography is part of Vuka's 6-week summer class program. Class will be held over the following 6 Wednesdays from 5:00pm - 6:30pm at Vuka. Geoffrey Kroll made his first photographs at eight years old with his mother's Kodak Brownie. Decades later, he has been a commercial photographer, taught at several colleges, and shown photographs from Prague CZ to Los Angles California. Recently, won two international awards for Planet Magazine. Intimidation of the photography that these innovations of the era everyone have camera in the cell phones and professionals have the digital. Camera in the photography of smartwritingservice was having lens to clicking and to use the button with timing shoots. Please park in our lot or on the street - keep an eye out for residential parking signs.